Combine ingredients and pour into unbaked pie shell. Bake at 350 to 355 degrees for 45 minutes. Makes two pies. 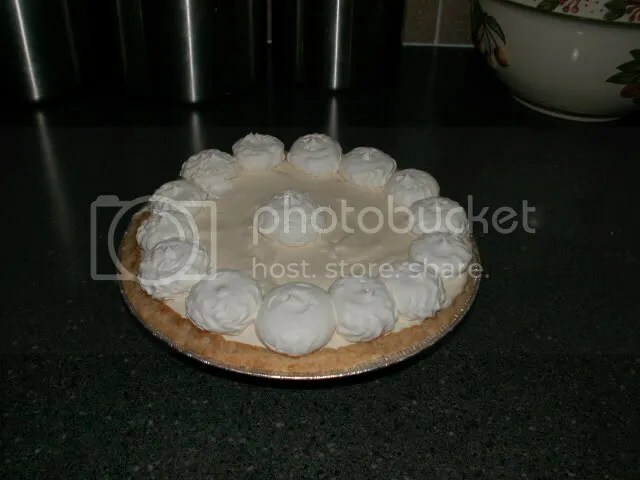 I have made a few different recipes for lemon icebox pie lately and decided to post the combination I prefer on my blog. 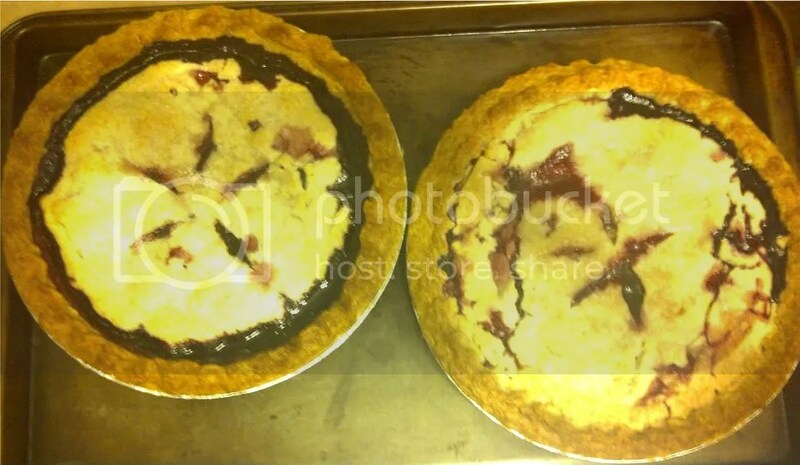 The recipe makes two pies and there should be some filling left over, so be careful NOT to overflow the piecrust. Either use two deep-dish piecrusts and cook per package instructions and cooled or use two graham cracker crusts. I used the regular pie crusts because I was out of graham crackers and graham cracker crusts both today. In mixing bowl on high speed, blend cream cheese and sugar until lightly fluffy. Gradually add the lemonade concentrate and sweetened condensed milk on medium speed until well blended. If adding zest, do so at this time. With stirring spoon, fold in 8 oz cool whip until well blended. Pour into pie crusts until level. Do not overfill. There will be approximately a small bowl full left over. Put in freezer to set. To decorate, use the remaining 8 oz cool whip. I used a cake decorating bag and tip for the pie in the picture, but you can just scoop it on in dollops if you do not want to make it fancy. Keep in freezer until served. Thoroughly combine pumpkin, sugar, salt, spices. Blend in egg, milk and evaporated milk. Pour into pastry shell. Bake at 400 degrees 50 min. or till knife inserted halfway between center and edge comes out clean.